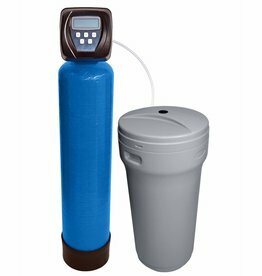 The water softener type IWSC consists of a GFRP pressure tank with installed actuator and a separately set up brine container. 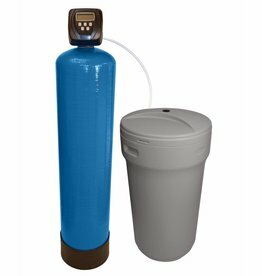 Like this, large resin volumes of up to 100 liters and a large salt storage of up to 150kg are possible. 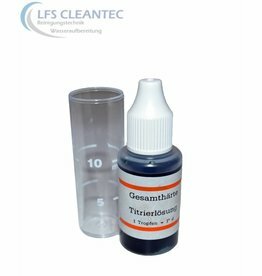 A strongly acidic cation exchanger is used for the water softening, which has a very high absorption capacity. The duration of the exchanger is about 10 years. During this time the regeneration is taking place with brine. During regeneration the cation exchanger doesn’t loose any of its capacity. There are practically no operational costs arising, only the required salt tablets for the regeneration have to be refilled on a regular basis. A control valve from the manufacturer CLACK of the type WS1CI is responsible for the control of the water softening system IWSC. This control valve is particularly high quality and offers a number of different functions. 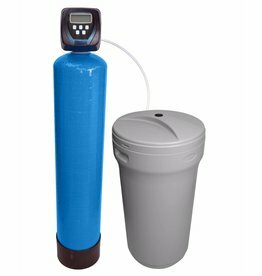 A flow meter is built in the actuator, through which constantly the taken amount of water is measured. 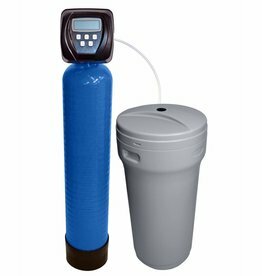 The measured water amount is compared with the system capacity and upon reaching of the capacity the regeneration cycle is triggered. Different programs can be set up for the quantity-controlled regeneration. Also, it is possible to start the regeneration time-controlled or manually. Through an adjusting screw, which is located on the side of the control valve, it is possible to blend the raw water with the softened water. 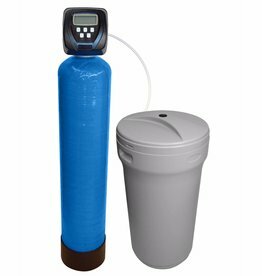 With this mixing valve you can adjust the water hardness the way you want it to arrive at the consumer’s household. 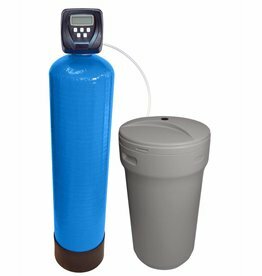 How Does Water Softening Through Ion Exchange Work?